2013 Barlett & Steele Awards for Investigative Business Journalism Winners from Reynolds Center on Vimeo. Named for the renowned investigative team of Don Barlett and Jim Steele, whose numerous awards include two Pulitzer Prizes, these annual awards, funded by the Reynolds Center, celebrate the best in investigative business journalism.A Tampa Bay Times/Center for Investigative Reporting joint project, The New York Times and The Wall Street Journal won gold, silver and bronze awards respectively in the seventh annual Barlett & Steele Awards for Investigative Business Journalism, the Donald W. Reynolds National Center for Business Journalism announced today. GOLD: “America’s Worst Charities,” by Kris Hundley and Kendall Taggart in a joint project of the Tampa Bay Times and The Center for Investigative Reporting, received the top gold award of $5,000. Reporters identified charities that steered as much as 95 percent of donations to boiler-room operations and direct-mail companies, leaving only a token amount to help those in need. They assembled interactive databases to help readers examine the worst 50 charities and state enforcement actions against thousands more organizations. 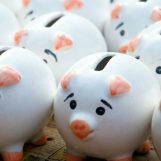 “These articles provide a connection between terrific database research and well-written narrative reporting and editing,” said the judges, noting that the project also provided regulators and journalists around the country with a resource and methodology for screening the performance of charitable organizations in serving the public. SILVER: “The United States of Subsidies,” by Louise Story of The New York Times, received the silver award of $2,000. The project tabulated the $80 billion that local governments dole out to corporations each year in tax breaks and other business incentives – expenditures to recruit and keep businesses that may or may not produce results. Story methodically contacted revenue departments and agencies that administered incentives to compute the total cost to taxpayers that had never been compiled before. 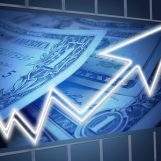 “This is a fresh and comprehensive look at the high competition to lure companies, in which the cost exceeds the benefits,” said the judges, adding that its creation of a usable, comparable database is a significant milestone for this topic that for decades has failed to gain national traction. 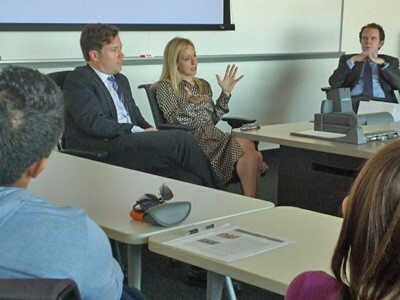 Barlett & Steele winners Rob Barry (Bronze) and Louise Story (Silver) talk with Cronkite students in Andrew Leckey’s class. BRONZE: “Inside Game: How Corporate Insiders Profit Ahead of the Public,” by Susan Pulliam, Rob Barry, Michael Siconolfi and Jean Eaglesham of The Wall Street Journal, received the $1,000 bronze award. More than six months went into creating a database to examine how more than 20,000 corporate executives traded their own companies’ stock over the course of eight years. It revealed that more than 1,000 executives had generated big profits or avoided big losses. The FBI and SEC launched investigations the day after the initial article. “The stories outline the abuse of rules designed to keep corporate executives honest when they buy and sell their companies’ stock,” said the judges, pointing out that a number of large companies adopted more stringent insider-trading policies in the wake of the articles. HONORABLE MENTION: “iTheft,” by Gerry Smith of The Huffington Post, traces the growing and dangerous trail of stolen iPhones, iPads and other connective devices to a global distribution network that nets an estimated $30 billion annually. Citing the articles, top-level law enforcement officials have pressed manufacturers to add a “kill” switch to their devices that would render them inoperable after they are stolen. “The articles look into the growing crime wave of global trading in cell phones that make citizens vulnerable to mugging, and into the sluggish response to this reality from business,” the judges noted. Sound research played a key role for the winners. The judges for this year’s awards were Amanda Bennett, editor-at-large for Bloomberg News; Paul Steiger, ProPublica’s founding editor-in-chief and current executive chairman; and Rob Reuteman, freelance writer, professor at Colorado State University and former president of the Society of American Business Editors and Writers.  The awards will be conferred Nov. 18 at the Walter Cronkite School of Journalism and Mass Communication at Arizona State University in Phoenix. Kris Hundley joined the Tampa Bay Times 17 years ago as a business reporter, covering the business of medicine and pension issues. In 2011, she joined the Times’ investigative team. Last year, Hundley reported on inequities in Florida’s “Stand Your Ground” self-defense law. She is a graduate of Smith College. 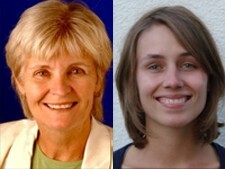 Kendall Taggart joined The Center for Investigative Reporting in California in 2010. Before “America’s Worst Charities,” Taggart worked with a team of reporters on an investigation that exposed systemic failures in California’s oversight of public school construction and earthquake-safety laws – a project that received several national awards. She is a Massachusetts native and graduate of Reed College. She has lived and worked in Chiang Mai, Thailand, and Trujillo, Peru. 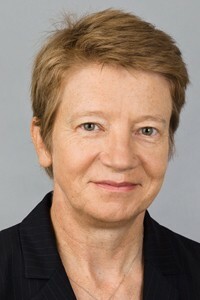 Louise Story is a reporter on the Investigations Desk of The New York Times. 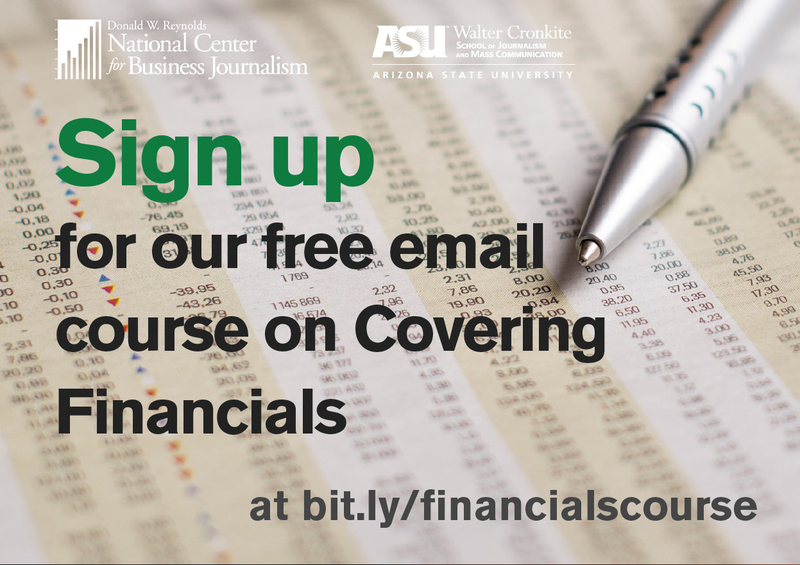 Previously, Story wrote about Wall Street and finance and was one of the lead reporters in chronicling the financial crisis of 2008. In that role, she contributed to a project that was a finalist for the 2010 Emmy Awards and one that was a finalist for the 2009 Pulitzer Prize in Public Service. She has also been a finalist three times for the Gerald Loeb Award, and she was named one of the Huffington Post’s Game Changers for 2010. In 2011, she co-authored a series of stories on the lack of prosecutions related to the financial crisis, and in 2010, she examined the advantages bankers enjoy over other investors and customers in the series “House Advantage.” Prior to covering Wall Street, Louise wrote about advertising and marketing for the Times. 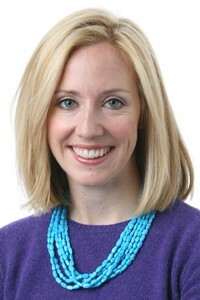 Susan Pulliam is an investigative reporter for The Wall Street Journal, covering the financial industry. Pulliam joined the Journal in 1990 as a reporter covering insurance and later covered pensions and institutional investing. She began writing “Heard On The Street” columns and Wall Street articles in 1992. 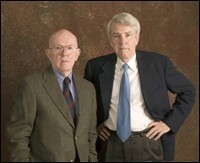 In 2012, Pulliam and a group of fellow Journal reporters won several awards for a series of articles that examined new ways of insider trading in Washington and on Wall Street, including a George Polk Award for national reporting, a Society of American Business Editors and Writers award and a New York Press Club award for business reporting. The series was also a finalist for a 2012 Gerald Loeb Award. She won a Newswomen’s Club of New York award in the Beat Reporting category for a story on the insider-trading investigation of the Galleon Group hedge fund, and she was a finalist for a 2011 Gerald Loeb Award for the same article. 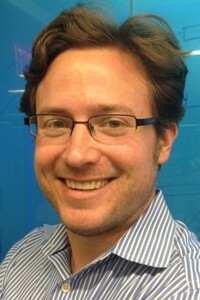 Rob Barry is a journalist with The Wall Street Journal who specializes in computer-assisted reporting, which is the practice of wrestling large sets of data into compelling narratives. Before joining the Journal in 2011, Barry had been a staff writer for The Miami Herald since 2006. He earned a bachelor’s degree in English and mathematics from the University of Miami. He has won recognition for his work, including a nomination as a Pulitzer Finalist in the Public Service category, as well as two Gerald Loeb Awards. Rob was one of a team who won the 2009 Barlett & Steele Gold Award for a nine-month investigation at The Miami Herald called, “Borrowers Betrayed.” That series uncovered poor oversight by Florida mortgage regulators that permitted thousands of individuals with criminal records to conduct business in the state’s home-loan industry. Mike Siconolfi is a senior editor heading a financial investigative-projects group at The Wall Street Journal. In this role, he works closely with the Journal’s Money & Investing team in New York and other senior editors and bureau chiefs in focusing on major investigative opportunities, especially those calling for financial expertise. Mike previously had been deputy editor of the Money & Investing section of the Journal. In that position, he helped to oversee all reporters writing for the section and also edited the Journal’s securities-industry coverage, as well as handling page-one projects for the group. Mike has won three Gerald Loeb Awards, two as a reporter (for the collapse of Kidder Peabody, and for a series about investment banks’ practice of IPO “spinning”), and one for career achievement (the Lawrence Minard Editing Award). He has been part of reporting teams that have won numerous accolades. 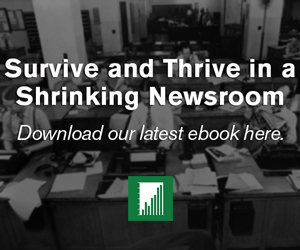 He has overseen stories that have won George Polk Awards – for insider trading and IPO manipulation – and has edited articles for a package that won a Pulitzer Prize for corporate scandals. Jean Eaglesham writes about law enforcement by the Securities and Exchange Commission and other financial agencies, working from The Wall Street Journal’s New York bureau. Before joining the Journal in 2010, Eaglesham worked for the Financial Times for 14 years in a variety of reporting roles, including chief political correspondent and UK business editor. Previous Barlett & Steele winners include the nation’s major news organizations as well as regional news outlets. Deadline is Aug. 1, 2014, for work produced in the year ending June 30, 2014. 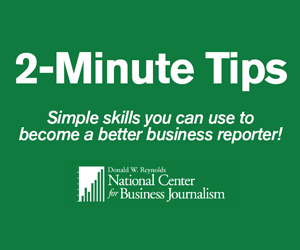 Since 2003, more than 19,000 journalists have benefited from the Reynolds Center’s free training. 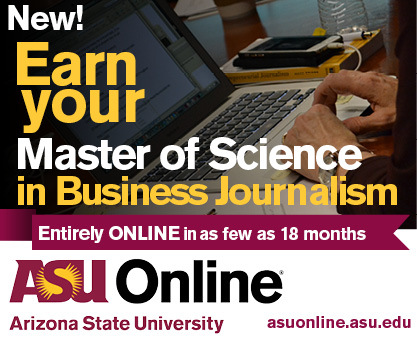 Its mission is to help journalists cover business better through in-person and online training and its website, BusinessJournalism.org. It is part of the Walter Cronkite School of Journalism and Mass Communication on Arizona State University’s downtown Phoenix campus.